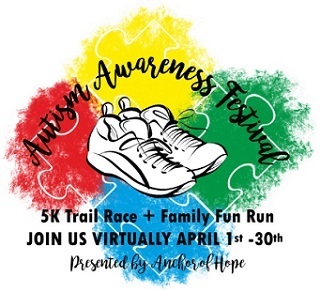 Dayspring Presbyterian Church, 1045 Highway 41 South, Forsyth, GA.
T-shirts are guaranteed to all participants who register by April 18, 2019. Register online through April 25th at 11:59pm. Register race day beginning at 7:00am. Take I-75 to exit 185 (from Macon turn left, from Atlanta turn right) go over the rail road tracks and turn left onto Highway 41 S, continue on 41 south for 0.8 miles and Dayspring Presbyterian Church will be on your right. T-shirts are guaranteed to all participants who register by 4/18/2019. Shirt to race day registrants while supplies last. Activities to include: community resources, food vendors, music, games, children's play area, crafts, and inflatables. For more information please visit www.anchorofhopefoundation.org. If you are interested in volunteering for the race or festival or to be a vendor in the Community Resource fair, please visit www.anchorofhopefoundation.org and download the volunteer or vendor applications and return by fax, e-mail, mail, directly on the website.